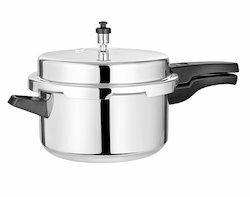 Pioneers in the industry, we offer pressure cooker, combo pack of 2 litre pan 3 litre cooker and hard anodized pressure cooker from India. To meet divergent demands of the clients; we bring forth an extensive assortment of Combo Pack Of 2 Litre Pan 3 Litre Cooker. This pack is ideal for both home usage and gifting purpose. It is made using premium grade material which ensures its durability and safe usage. Further, customers can avail it at affordable rates. 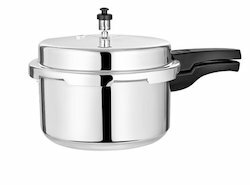 Size: 2 Litre pan 3 Litre Cooker. 3 Litre pan 5 Litre Cooker. Available in both induction & non induction base. 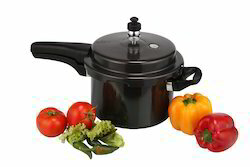 To meet divergent demands of the clients; we bring forth an extensive assortment of Hard Anodized Pressure Cooker. Available with us in 3 and 5-litres capacity; the given cooker is demanded due to its appealing design, perfect finish, and long life. It is easy to use and can be availed at nominal rates. 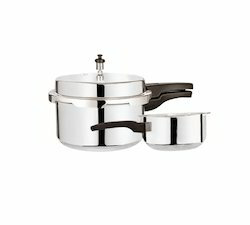 Looking for “Outer Lid Pressure Cooker”?